While self-employed borrowers face some unique challenges in securing a mortgage, we have access to a range of specialized products created for this group. If you are self-employed, chances are the income shown on your tax returns has been reduced by several legitimate tax “write-offs.” Historically, this situation left self-employed individuals at a disadvantage to those on salary when it came to the mortgage amount for which they could get approved. We have access to an arsenal of mortgage products that will recognize “undeclared income” or allow declared income to be “grossed up.” These products will allow a self- employed borrower to qualify for a larger mortgage than has traditionally been available. There are also a range of new mortgage product features recently introduced into the Canadian marketplace that make it easier for self-employed individuals to get a mortgage. If you are self-employed and have had some credit issues, a mortgage broker may still be able to arrange a mortgage without the standard proof of income. 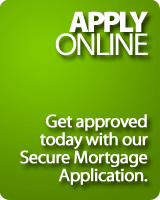 For expert advice on getting a mortgage that suits your individual needs, call us today. Know what you can afford. A mortgage pre-approval helps you establish a price range and the maximum mortgage you can reasonably afford. Many lenders will lock-in a rate for up to 120 days when pre-approving potential borrowers for a mortgage. Revisit your current debts. When applying for a mortgage, a lender will look at your total debt service ratio (TDS), or how much of your total income is going towards various types of debts, including car loans, credit cards, and other consumer loans. A mortgage broker can advise on restructuring your current debt (by increasing the amortization and lowering payments on your car loan, for example), to ensure that your TDS ratio is acceptable to prospective lenders. Increase the size of your down payment. Increasing the size of your down payment means a lower monthly payment. A common way for first time buyers to come up with more cash for a down payment is to make use of the federal Home Buyers' Plan to withdraw up to $20,000 each from a registered retirement savings plan (RRSP) without tax penalty to buy or build a qualifying home. Also, many lenders allow the down payment to come from a properly documented gift, and a borrowed down payment may be possible for some borrowers. Immigration is nothing new to Canada, with 250,000 immigrants arriving in this country every year. And with so many arriving, it should come as no surprise that 20% of the Canadian population is now foreign-born, according to Statistics Canada. It should also come as no surprise that increasingly, immigrants are making their numbers felt in the housing market as they get settled and make the transition from renter to home owner. Invis, Canada's largest mortgage brokerage firm, says that the influence of immigrants on real estate markets across the country will grow in the decades to come as the Canadian population ages and more newcomers arrive in this country. However, there are home-ownership hurdles faced by immigrants that Canadian-born residents don't encounter. "While many new immigrants to Canada would like to join in the investment advantages and pride of home ownership, they often face barriers when buying a home," says Invis' Jim Rawson. "One of the biggest challenges for new immigrants is establishing credit because they often don't have a financial history in Canada." Rawson points out that without a credit history, it can be a struggle to get mortgage financing from traditional financial institutions. A 2007 study on the home-buying experiences of immigrants suggested that 91% of new immigrants said buying a home was important, yet nearly 75% of respondents felt the lack of credit history was a barrier. A second home-ownership hurdle is that many financial institutions have traditionally insisted that new immigrants provide a downpayment of between 25% and 35%. However, this is starting to change as more and more lenders in Canada begin to offer mortgages tailored to the needs of new immigrants, including those with non-landed status. These mortgages feature looser rules regarding proof of credit history and a much lower downpayment requirement -- up to 100% financing is available in some cases. These mortgage product changes will help fuel the real estate sector, especially since many immigrants settle in Canada's larger -- and expensive -- cities. Rawson adds that immigrants should shop around and get expert advice. "It is important that newcomers know their options and explore mortgage choices before jumping into home ownership." With the spring home buying season just weeks away, getting a pre-approval for mortgage financing before you start to look for a home is a smart move. With a pre-approval, you’ll get a clear-cut sense of how much you are eligible to borrow. A pre-approval also assures you of a locked-in mortgage rate for a set period – so there is no risk of any interest rate increases while you are house hunting. The great news for those who turn to a mortgage broker is that a broker may be able to obtain a longer pre-approval rate hold. Keep in mind that the property you intend to purchase – along with your supporting information (such as income, down payment and employment history) – has to meet the financial institution's criteria to be approved for lending. Also, a pre-approval is not a guarantee of financing, and does not eliminate the need to make a conditional offer. If you are planning on searching for a home this spring, call us today to get pre-approved. He or she can get you an extremely competitive interest rate and length of rate hold – you’ll soon be on track to finding the home that’s ideal for you and your family. Short on money? Consider your home equity to maximize your RRSP contribution. Higher real estate values may offer a chance for many to maximize their RRSP contributions by tapping into existing home equity. Of the almost $526 billion in RRSP room available to Canadians in 2006, only $74 billion was actually used, according to Statistics Canada. With a home equity line of credit, a homeowner can withdraw funds at relatively low interest rates on an as needed basis for the purpose of increasing RRSP contributions, including unused contributions from previous years. Planning to buy a home in 2007? Make a contribution to your RRSP. Contribute to your RRSP then use up to $20,000 ($40,000 per couple) of your plan’s accumulated assets to purchase or build a home. Under the Home Buyers’ Plan (HBP), the Canada Revenue Agency lets first time homebuyers access their retirement savings without tax consequences. Funds in your RRSP from previous years may be accessed right away. Contributions made to your RRSP by March 1, 2007 can be withdrawn after a period of 90 days, and the resulting tax refund can be used towards a down payment. If you’re a first-time homebuyer, with the federal Home Buyer’s Plan you may be eligible to withdraw funds from your registered retirement savings plan (RRSP) for a down payment when buying or building a qualifying home. Under the program you can withdraw up to $20,000 (or, up to a maximum of $40,000 per couple) without tax penalties. You must be considered a first time homebuyer, i.e. you cannot have owned an owner occupied home in the previous five years. The property purchased must be for a principal residence. The RRSP must be repaid within 15 years, with minimum annual payments of 1/15th of the withdrawn amount. Funds must have remained in your RRSPs for a minimum of 90 days before they can be withdrawn under the Home Buyers Plan. You will have to complete Form T1036, “Home Buyers Plan (HBP) – Request to Withdraw Funds from an RRSP” available at the Canada Revenue Agency website www.cra-arc.gc.ca in the RRSP section. No RRSPs? We can show you how to establish an RRSP with borrowed funds, and use the resultant tax refund for a down payment. Annual State of the Residential Mortgage Market in Canada. If, for example, you pay an average of 6.0% in mortgage interest, for each $1,000 by which you reduce your mortgage principal, you will save $60 in after tax cash every year. Even if you can only prepay annually, make sure tax refunds are set aside for paying down your mortgage. Many Canadians borrow (at prime) to buy an RRSP to ensure the maximum rebate. When applied to the mortgage principal, this refund is a "gift that keeps on giving". Combining the refund with the tax-free interest earned on the RRSP over the subsequent years will quickly outpace the short-term interest costs of the RRSP loan. Make accelerated bi-weekly payments to get a "free" principal reduction equivalent to one full mortgage payment every year — painlessly. By adding even a nominal amount of say, $10 per payment, the amount of interest you are saving will be unbelievable, and the extra money is relatively painless to part with. If your income increases, don't keep your mortgage payments the same. Although the disposable income may be fun to spend on unnecessary luxuries in the short-term, the long-term benefits of being mortgage free faster a far outweighs the short-term sacrifice. In this report, we outline the five most common mistakes homeowners make when moving to a larger home. Knowledge of these five mistakes, and the strategies to overcome them, will help you make informed choices before you put your existing home on the market. Most of us dream of improving our lifestyle and moving to a larger home. The problem is that there's sometimes a discrepancy between our hearts and our bank accounts. You drive by a home that you fall in love with only to find that it's more than what you are willing to pay. Most homeowners get caught in this hit and miss strategy of house hunting when there's a much easier way of going about the process. For example, find out if your agent offers a Buyer Profile System or "House Hunting Service," which takes the guess work away and helps put you in a home of your dreams. This type of program will cross-match your criteria with ALL available homes on the market and supply you with printed or e-mailed information on an on-going basis. A program like this helps homeowners take off the rose-coloured glasses and, affordably, move into the home of their dreams. You should plan to sell before you buy. This way you will not find yourself at a disadvantage at the negotiating table, feeling pressured to accept an offer that is below market value because you have to meet a purchase deadline. If you've already sold your home, you can buy your next one with no strings attached. If you do get a tempting offer on your home but haven't made significant headway on finding your next home, you might want to put in a contingency clause in the sales contract which gives you a reasonable time to find a home to buy. If the market is slow and you find your home is not selling quickly as you anticipated, another option could be renting your home and putting it up on the market later - particularly if you are selling a smaller, starter home. You'll have to investigate the tax rules if you choose the later option. Pre-approval is a very simple process that many homeowners fail to take advantage of. While it doesn't cost or obligate you to anything , pre-approval gives you a significant advantage when you put an offer on the home you want to purchase because you know exactly how much house you can afford, and you already have the green light from your lending institution. With a pre-approved mortgage, your offer will be viewed far more favorably by the seller - sometimes even if it's a little lower than another offer that's contingent on financing. Don't fail to take this important step.